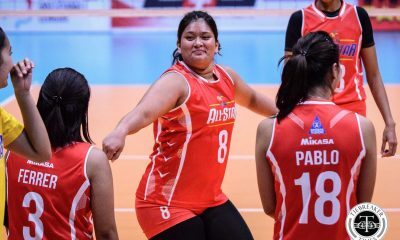 After Andie Ignacio almost carried them back to that championship heaven two years ago, out has come another messiah in rookie Maxine Esteban. 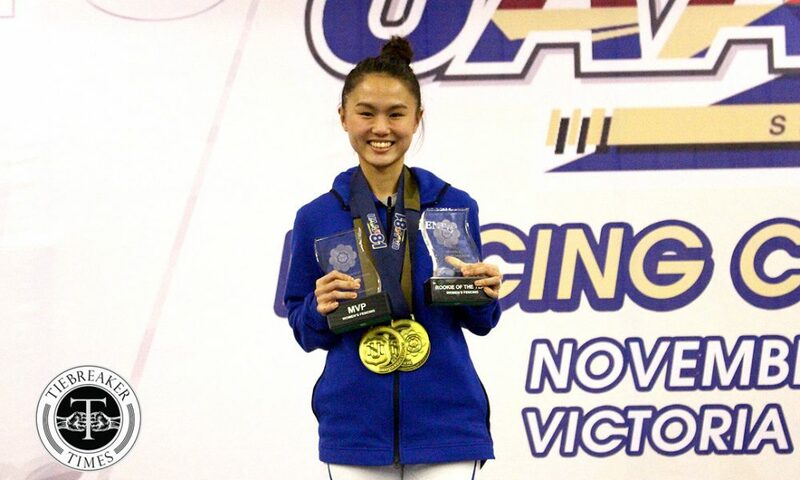 The 17-year-old national team standout made her mark in the first two days with two golds, leaving the then-defending champions University of the East Lady Warriores with no mints to show. 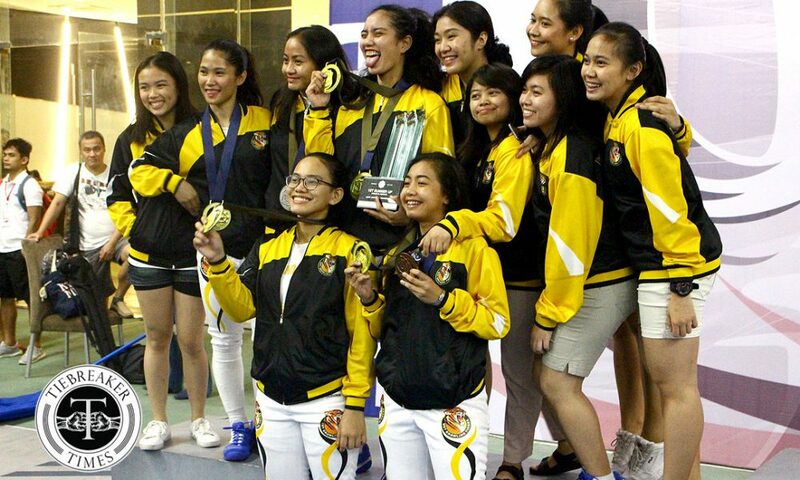 The University of Santo Tomas Lady Fencers took the other individual gold. 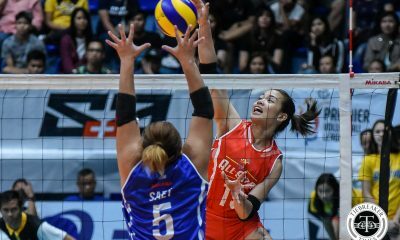 As thus, she sent Ateneo to the verge of winning the title back. 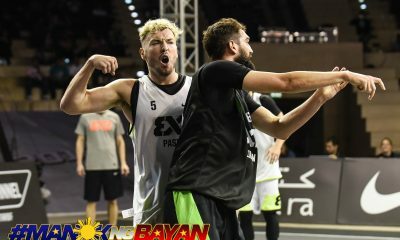 Saturday came, and Esteban weaved her magic once more. 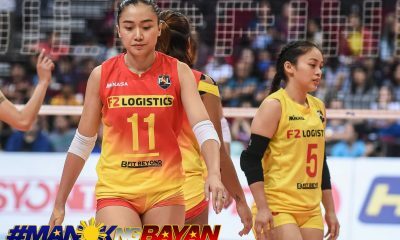 The foil quartet of the Lady Eagles were seeded into the semifinals as number one due to their 1-3 finish in the solo play, with Esteban and Patricia Paulo getting the respective finishes. 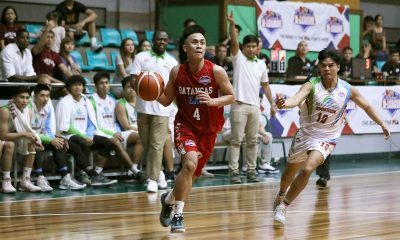 In the semifinals, the Blue and White dominated the Aika Aleta-anchored University of the Philippines Lady Maroons, even as De La Salle University likewise advanced at the expense of the Lady Red Warriors. 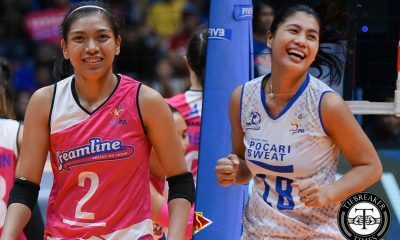 Toe-to-toe, the Lady Eagles and the Lady Fencers of La Salle fought hard. 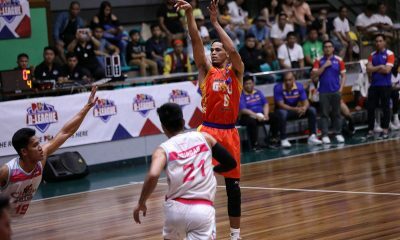 But a good lead prior to the anchor bout was all the former needed, as Esteban put on the exclamation point over Divine Romero at 39-37. 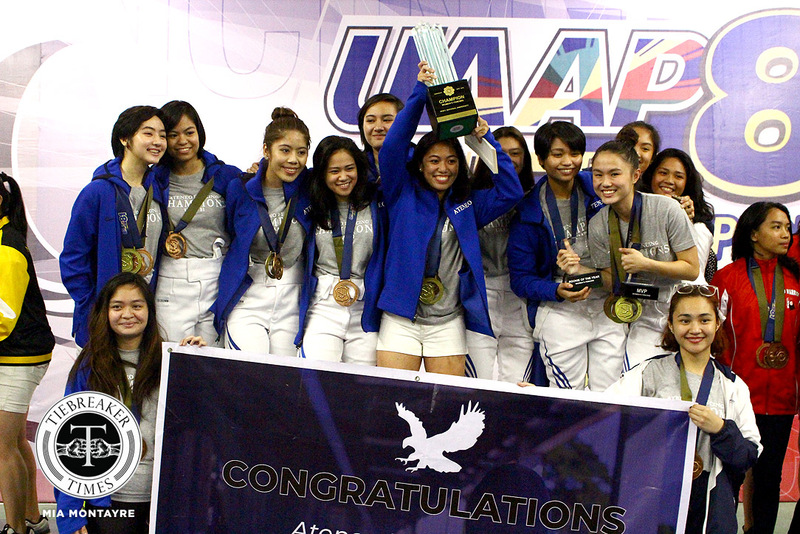 It was gold for the Lady Eagles. 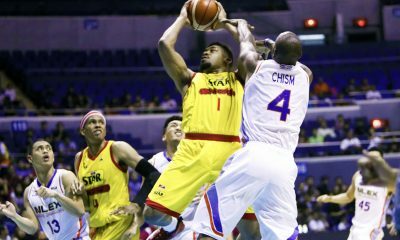 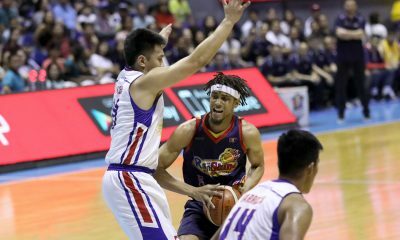 It was the end of a reign for UE. 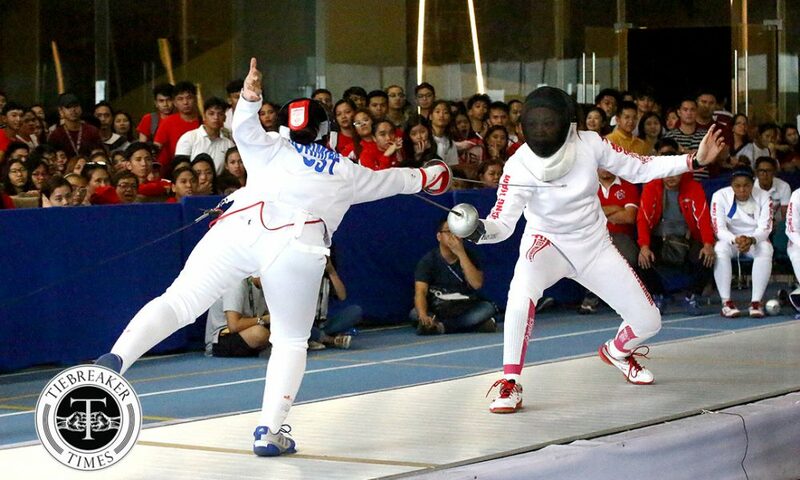 However, the Ateneo have not clinched the title yet, as the Tigresses still had chance to take their maiden UAAP crown if they swept the remaining two events – team sabre and team epee. 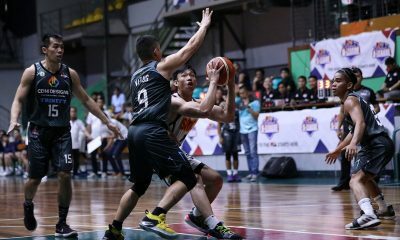 UST had their chance as they entered the sabre final against the Lady Warriors. 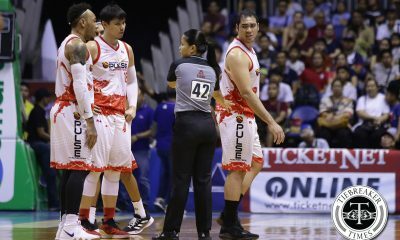 The Tomasinas fought hard; Cherie Manago tried to keep her squad above waters. 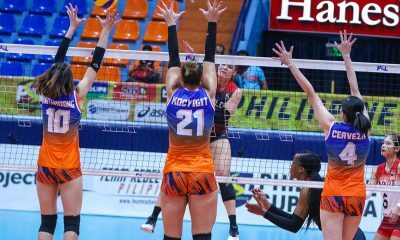 Nonetheless, UE’s Allaine Cortey would have enough of that, as after losing the gold in the individual play, she put on the finishing touches to an emphatic 45-31 win for the Lady Red Warriors. 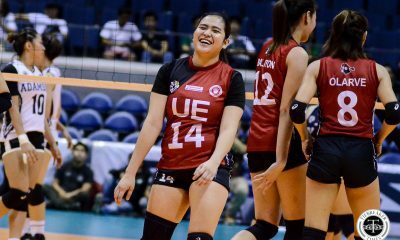 It was UE’s first gold of the season. 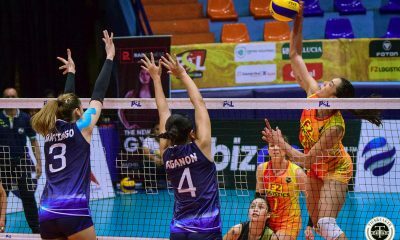 But that win virtually handed the title to the Lady Eagles. 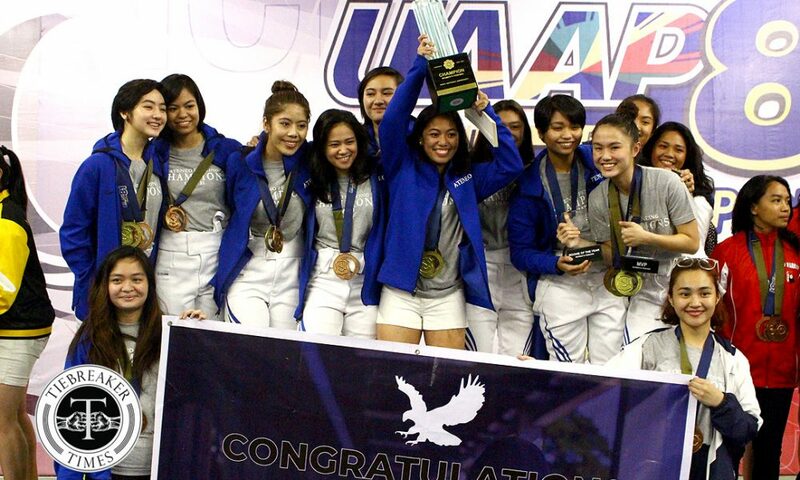 Ateneo had a six medal-haul, with three golds and three bronzes to win the school’s fourth championship this season. 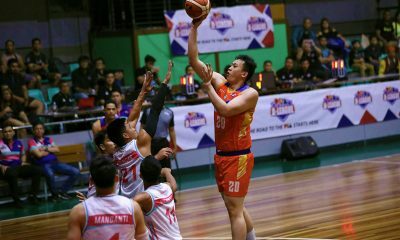 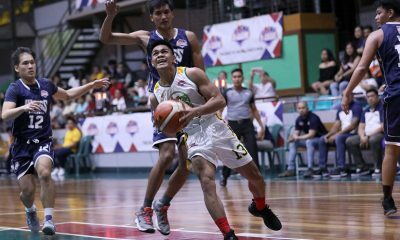 As their reign has ended, the Recto-based squad tried to end the season with bang and salvage some more pride and finish just below the new queens. 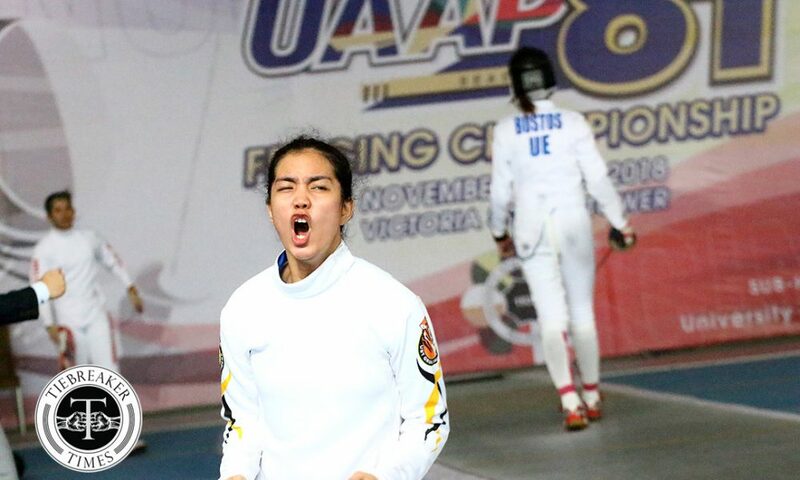 But UST, paced by graduating senior and individual epee gold medalist Marielle Peralta, wanted to close out the competitions on their terms as well. 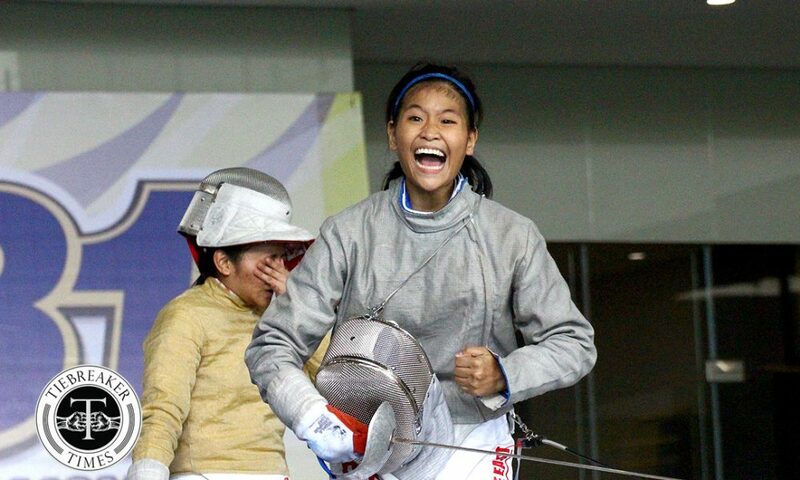 It was Mickyle Bustos who started the team epee final on the lead, as Peralta was sent in as second-player to rookie Mira Dorimon. 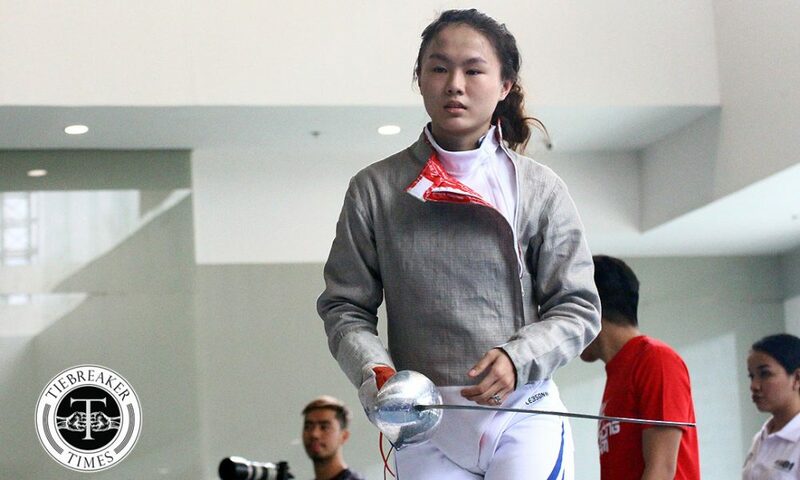 The Tigresses senior made waves in her next two bouts, first, taking the lead, and second, pushing that advantage, for Dorimon to close it out. 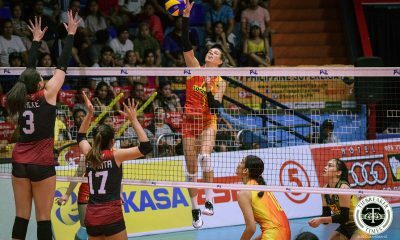 Bustos – who was suffering from an injury she incurred in the semifinals just minutes before – tried to stamp her experience over the newbie Dorimon. 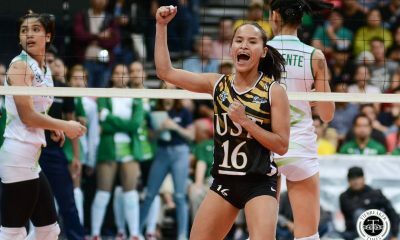 However, the UST rookie kept her head in the game and eventually finished the match at 45-40, giving the Thomasians the last reason to cheer in in-game situation. 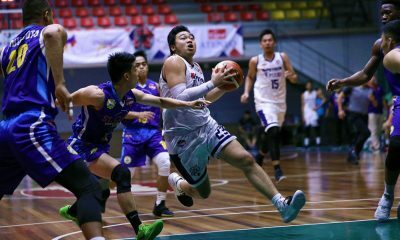 Nonetheless, it was the Ateneans who had the biggest celebration of the young night as they were officially handed the golden trophy that signaled the end of frustrations and dreaming. 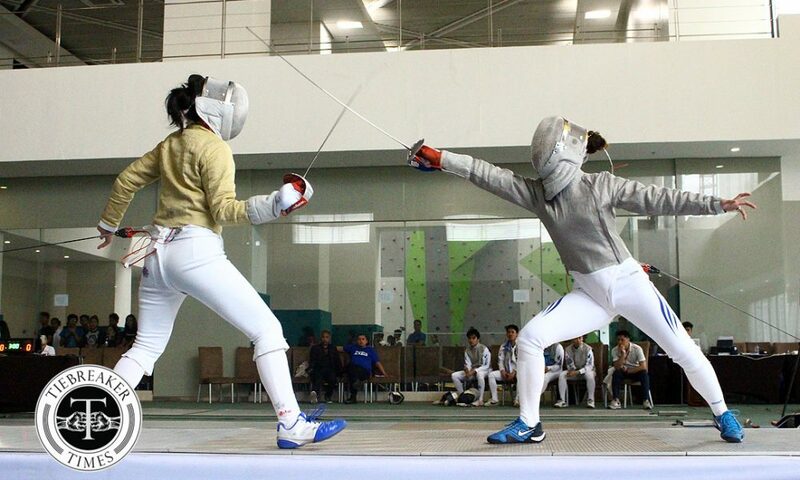 For graduating senior and epee anchor Patricia Sarmiento, the championship was both “empowering and overwhelming to know that were able to do something like that. 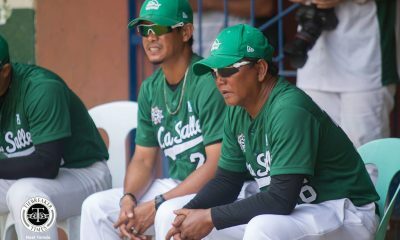 When hey had developed their skills and potential, a spark plug was just what they needed to finally break through. 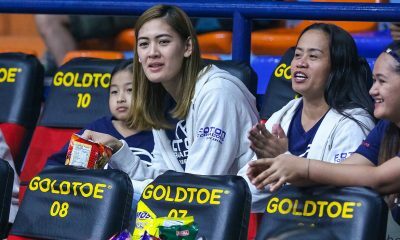 With seniors like Sarmiento leaving the pistes for the Blue and White, she said that on behalf of the others, it was a fantastic exit. 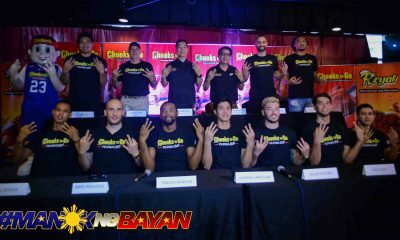 “It was overwhelming because we fought for something bigger than ourselves. 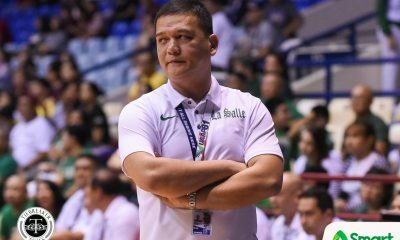 It was not for ourselves anymore. 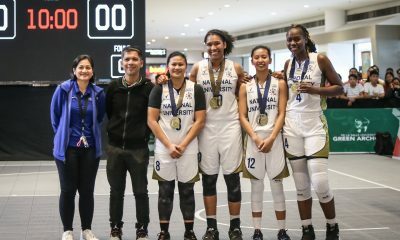 As much as we wanted to win golds, it was not for us, but for the Ateneo, for the team, and for the people we show up for every day,” she said.